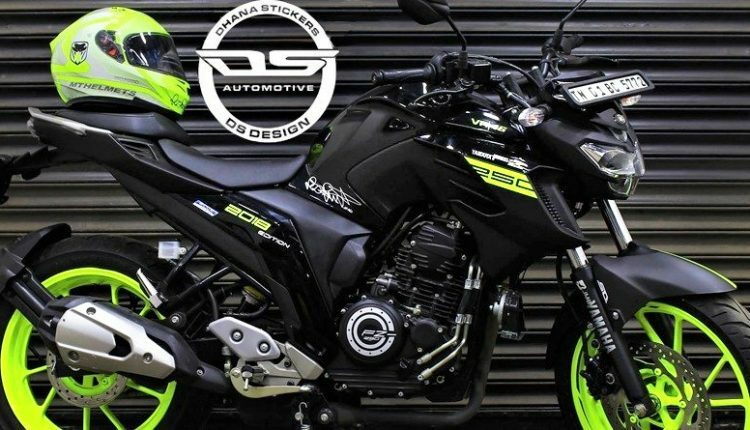 DS Design has awakened the hidden MT series DNA from the presently selling Yamaha FZ25. 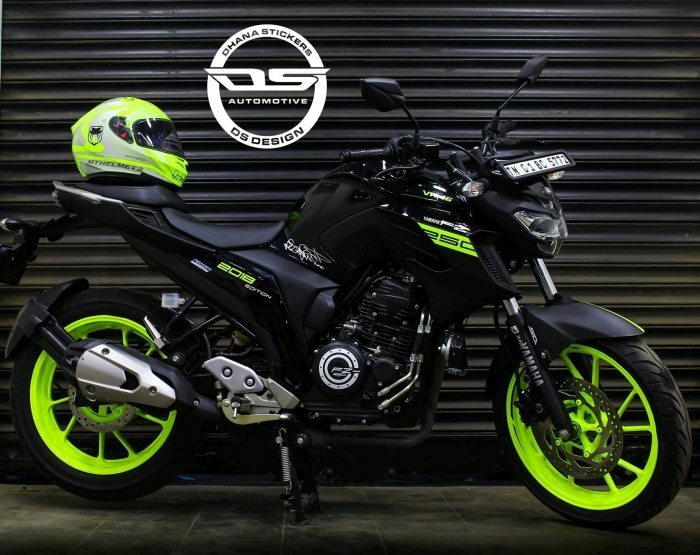 Tagged as Yamaha FZ25 VR46 Edition, the motorcycle looks quite impressive in stock conditions but wrapping the same in this Matt Black and Neon Green combination takes the beauty to another level. The India spec model comes in different shades when compared to Brazilian market. 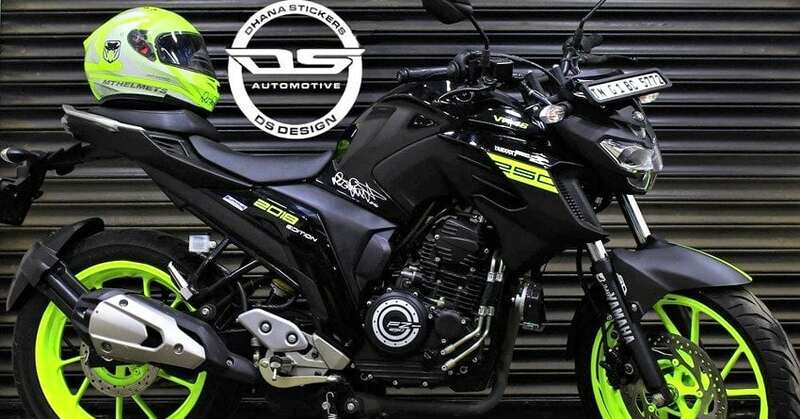 DS Design has worked on a long list of products but every time they prepare one, fans are surprised with the quality of detail they offer on the motorcycle. 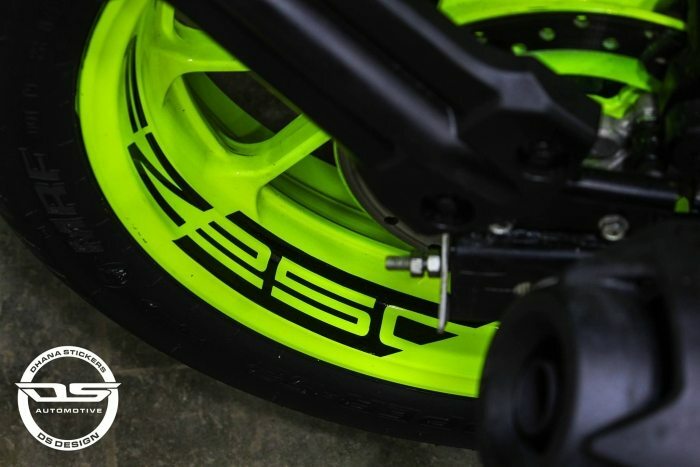 The wrap job offers 250 and 2018 moniker in Neon Green, along with a thin stripe running through the center. 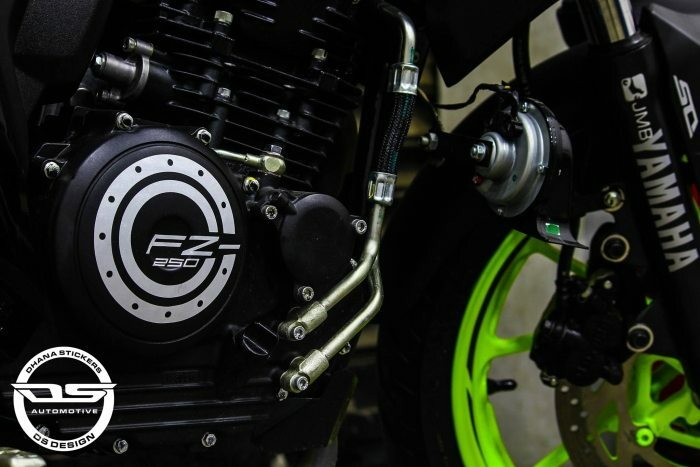 The Black engine of Yamaha FZ25 VR46 Edition now gets White highlights with FZ 250 inside a white circle. They have kept selected panels in Matt Black while Gloss Black is kept in the same condition as a stock bike. 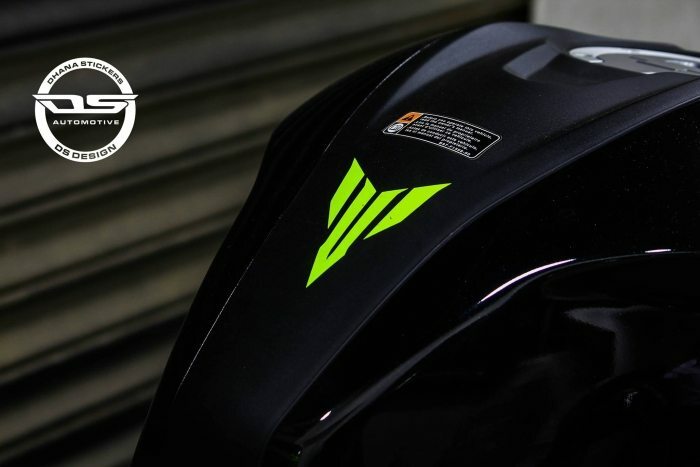 VR 46 moniker is also seen on the upper side of the fuel tank. 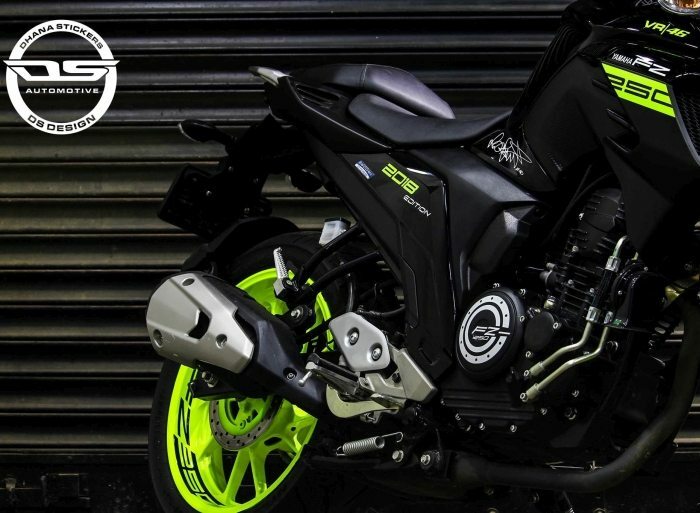 The biggest highlight of the motorcycle is its Neon Green alloy wheels, almost inspired from the bigger MT-09 and MT-10 in the Yamaha international lineup. 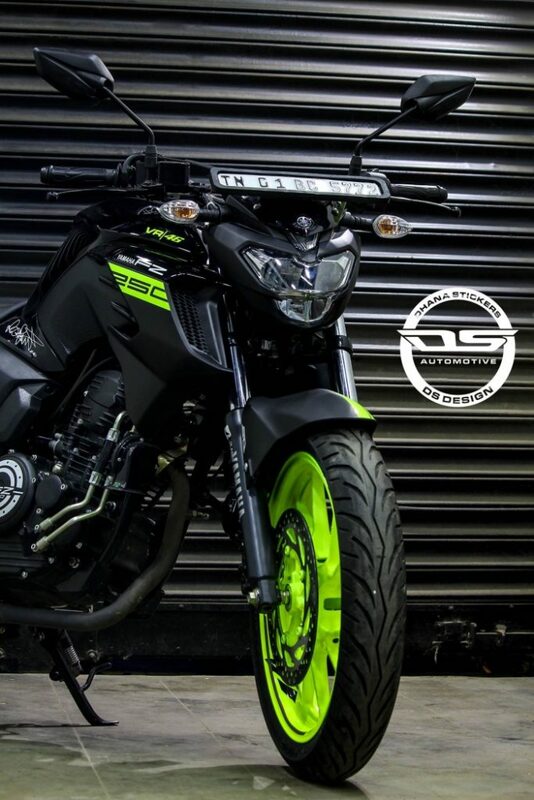 DS Design has neatly integrated the FZ25 moniker in the rear wheel through extended Black pinstripe. Overall, the motorcycle looks much better than the stock Black livery. 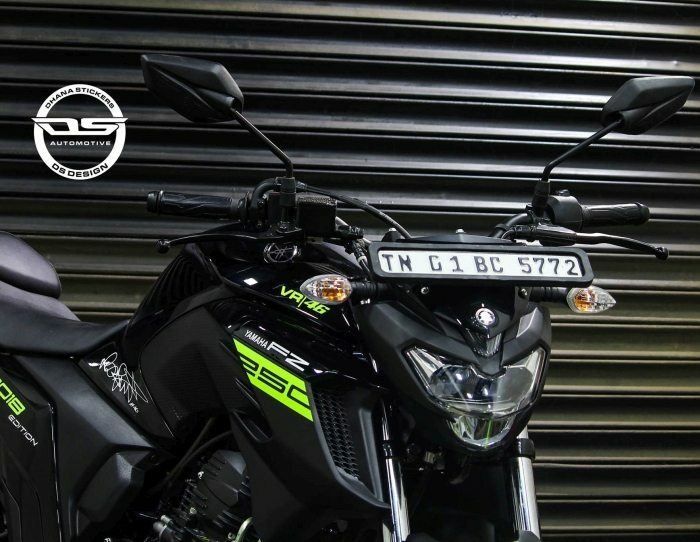 Yamaha FZ25 is powered by a 249cc, single cylinder engine, producing 20.69 BHP and 20 Nm of torque. The engine comes mated to a 5-speed gearbox. 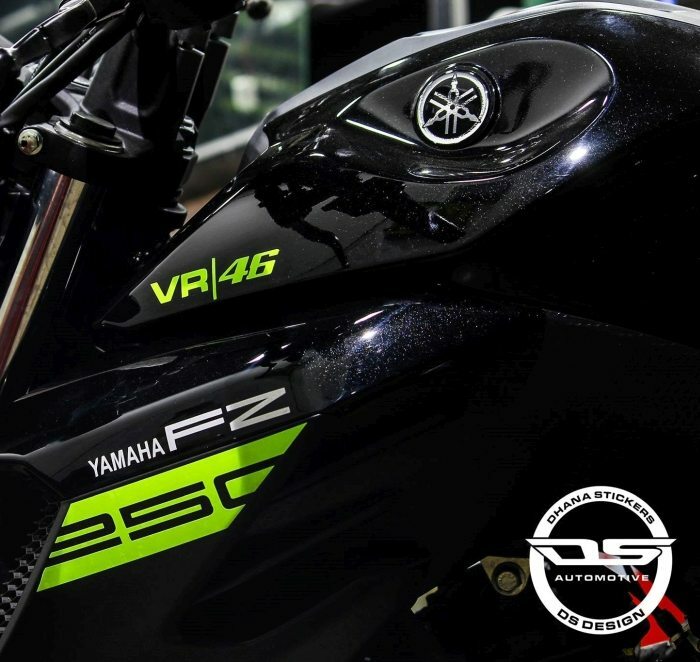 Every performance aspect of Yamaha FZ25 VR46 Edition stays the same as the stock version. It claims 134 kmph of top speed and weighs just 148 kg in the stock condition. Yamaha FZ25 comes with a price tag of INR 1,19,335 and ma comes with ABS in the near future. Indian market also has a faired version (Fazer 25) for the motorcycle at INR 1,29,335.